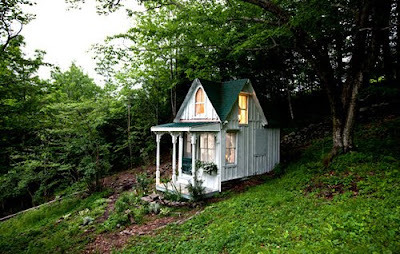 Sandy Foster's My shabby streamside studio blog focuses on her "halting weekend attempts at soothing shabby French décor & antique rose gardening" in at a 125 square foot studio in the Catskills, New York. 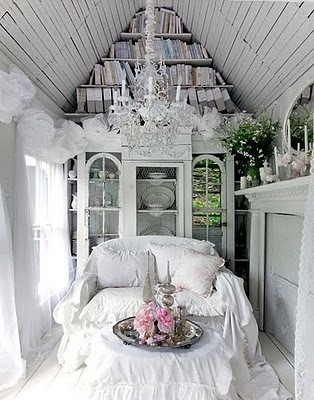 It's not only a lovely blog with excellent photos, it's a lovely shedlike atmosphere with sleeping loft, all of which Sandra has filled with vintage and salvaged items. Well worth a browse. Photos by Trevor Tondro. 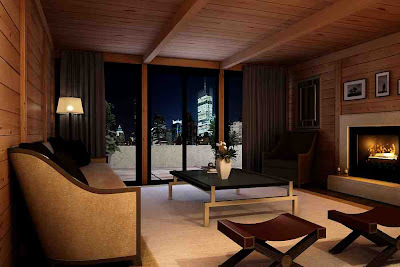 Via re-nest and a nice piece in the New York Times including a rather nice slideshow. Thanks to Lloyd Alter for the alert. 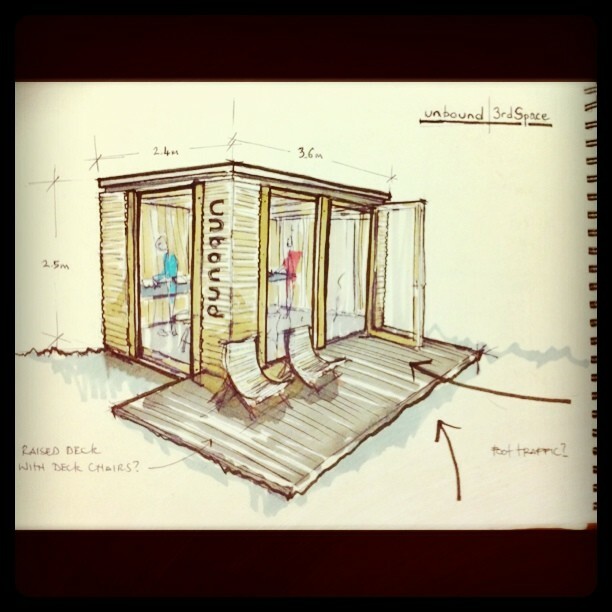 Here's the latest concept from Oazis Garden Offices, a design which would work well in a roof garden or by a rooftop pool. According to David Whitewood from Oazis, its modular construction can easily be transported to a rooftop location as the lightweight structure will not impose impractical loads on a roof. 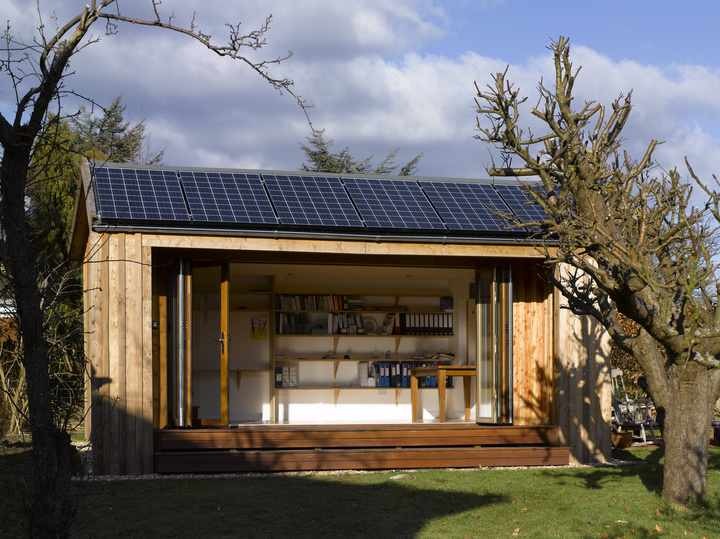 You can see the Oazis Garden Office in spruce and oak presented by their partner Nordic Wood at the Grand Designs Live Exhibition in ExCeL London April 30 – May 8 (Garden Hall Stand G271). 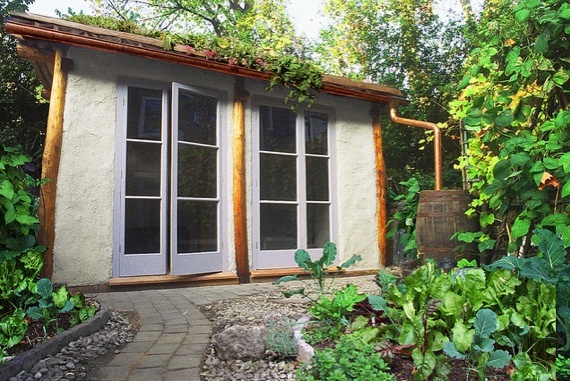 More evidence, should any be needed, that garden offices provide perfect inspirational working spaces, here is Mozart's Zauberflötenhäuschen (The Magic Flute Summer-House) in the garden of the International Mozarteum Foundation in Salzburg. Inside this small wooden office, he wrote part of Die Zauberflöte (among other works). The building was originally built in the garden next to the Freihaustheater in Vienna where Die Zauberflöte was premiered in 1791 - the story goes that Mozart was locked inside to make sure he finished the work on time. It was then donated to the International Mozarteum Foundation where it has been restored several times, especially after World War II when it was damaged by bombing. It now stands in the Foundation’s Bastionsgarten where you can visit it during July and August as part of a guided tour of the site. Inside are copies of theatre posters of the premiere and costume designs for a production of Die Zauberflöte from 1793. Gottlieb Daimler took the first steps towards what is today a global corporation bearing his name from a workshop in his garden shed in the late 19th century. It was in his garden office in Bad Cannstatt - which was restored in 1984 and opened to the public as a small museum - that he created the world's first lightweight high-speed four stroke internal combustion vehicle engine. The workshop shed was originally a greenhouse to which Daimler added a brick extension and turned into a testing station for his work: he also widened the garden paths so vehicles could drive down them. He and fellow inventor Wilhelm Maybach worked in considerable secrecy in their garden office, keeping secret their work even from their servants and gardeners (one of whom called the police because he thought they had installed an illegal mint inside). You can read more details at the Daimler site and even now buy a model of it (see here for details, in German). This is a traditional timber frame building that can be extended to any number of bays. 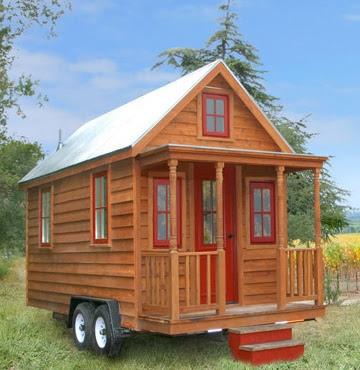 It is held together with wooden pegs and cut from large British oaks. 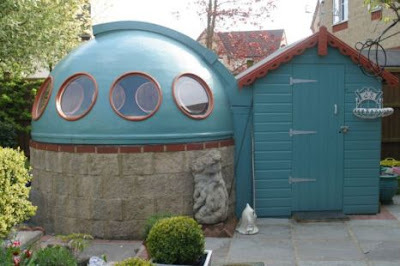 The Summerhouse version is a turf roofed building with doors and windows and whether boarded or wattle and daub walls. There can be a built-in staircase so you can access the roof for sun bathing or growing veg. 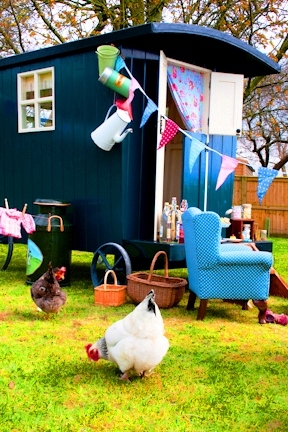 I hope to see someone keeping chickens on top one day! 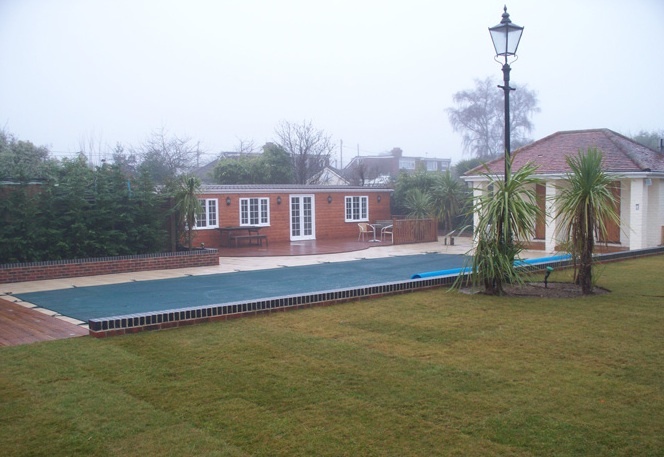 It truly is a joy to extend your garden and have more indoor space simultaneously. 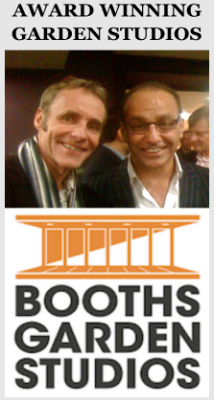 They also run courses and are keen to get people involved in the building process, including as part of teambuilding events. 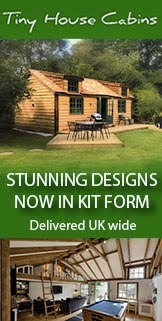 A nice little video introduction by The Garden Escape into the nuts and bolts of how a garden office is built. Southwold artist Serena Hall makes colourful paintings of the seaside where she lives as part of her English Seaside Company label. 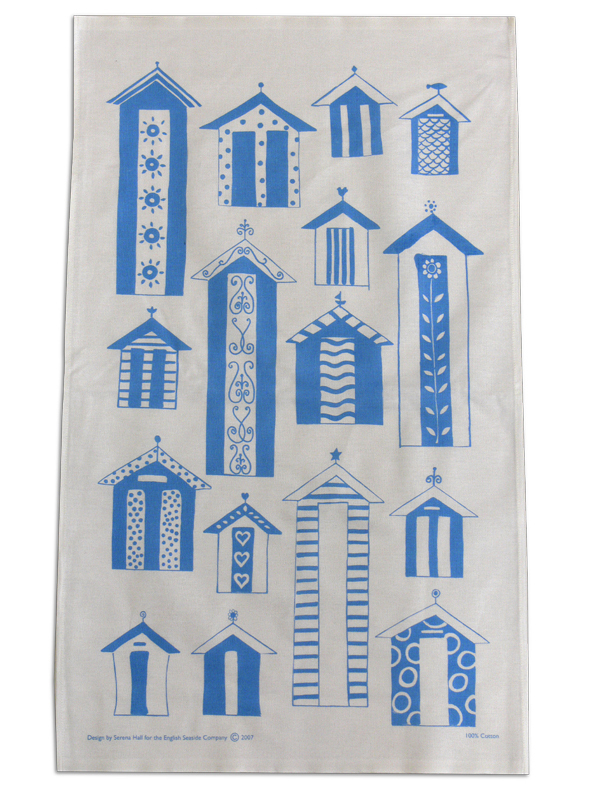 She has also produced a series of lovely beach hut teatowels. "Ben Fogle joins an expedition across Antarctica to find Captain Scott's Hut, frozen in time for a century. The hut was built to support Scott's 1911 attempt to be first to the South Pole, and was later abandoned together with ten thousand personal, everyday and scientific items. Ben uncovers the hut and its contents, finding new information about his hero Scott and his famously tragic expedition. 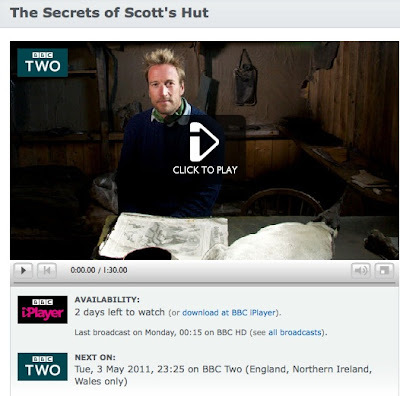 Scott's diaries are read by Kenneth Branagh." 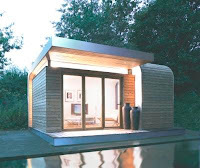 Analysts seem to be in agreement that timber prices are set to rise in the very near future with obvious knockon effects for anybody considering buying a garden office." Sterling’s weakness against the euro has pushed up the cost of imports from Baltic sawmills and most north European producers. Faced with increasing sawlog and transport costs, shippers expect prices to increase on a monthly basis for the foreseeable future," says Jerry Wilson in the Timber Trades Journal. 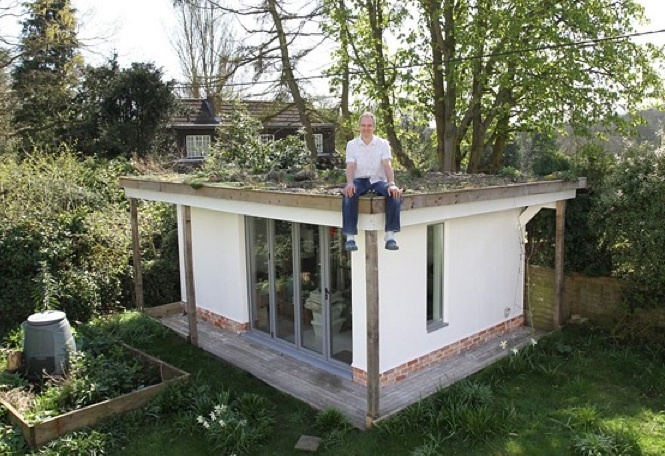 "The rebuilding of Japan is likely to create an increase in demand for timber," says David Whitewood of Oazis Garden Studios. 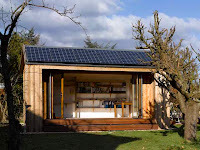 "Combine this with oil prices affecting transport costs, exchange rates, etc, and the price of sheds and garden offices - garden offices also have a large glass component that requires a lot of energy to manufacture - will be going up by 10% or more this summer. 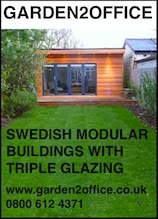 "The moral of the story - even if you are planning a build late summer - is order now to secure pricing. We are working with our supply chain to keep prices down so are not announcing any price increases yet but we will guarantee any prices for delivery up until the end of September if ordered." 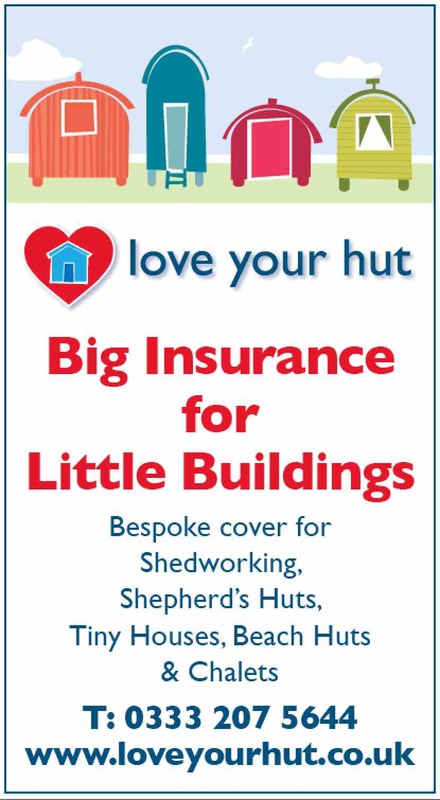 Huts & Hideaways is a new Helmsley-based business from Sally Coulthard, author of Shed Chic, building miniature shepherds huts for children. 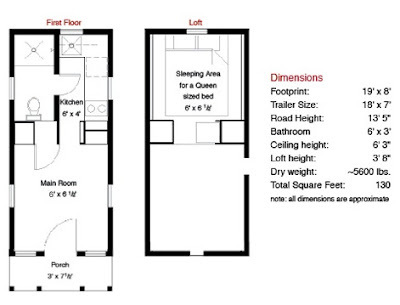 "As a mother of two small children, I know how much little people love spaces designed exclusively for them," she says, "a world where everything is child-sized, comforting and cosy. These portable cabins provide the perfect all-weather space for teddies tea parties, pirate games or summer sleepovers. They’re also a terrific focal point for your garden and a real talking point." 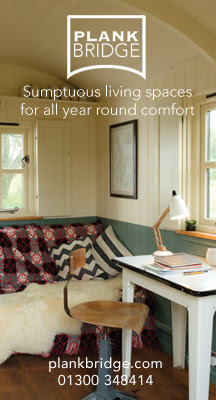 The design does not aim to recreate 19th century shepherds huts but instead capture the essence and charm of the shepherd's hut - however they are built using many of the traditional techniques used for vintage caravans including traditional canvas-bonded roofs (as you’d find on Victorian railway carriages) and tongue and groove timber cladding, as well as iron wheels hand-made by a local blacksmith. 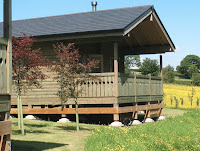 Each hut is painted both inside and out using Farrow & Ball Primer & Undercoat and Farrow & Ball Full Gloss. 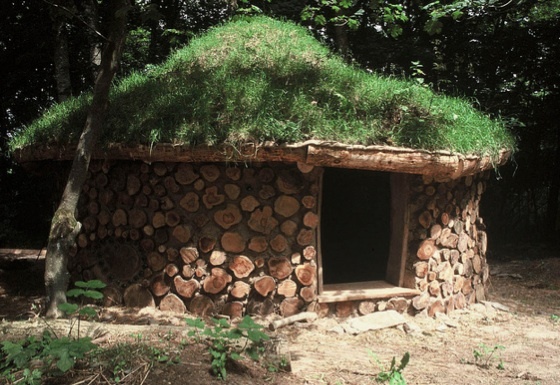 The huts are made using sustainable materials (e.g. 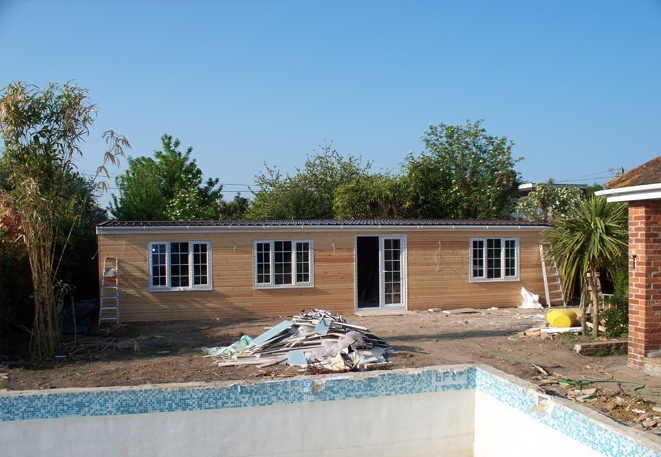 Thermowood® timber for cladding, FSC softwood, etc). 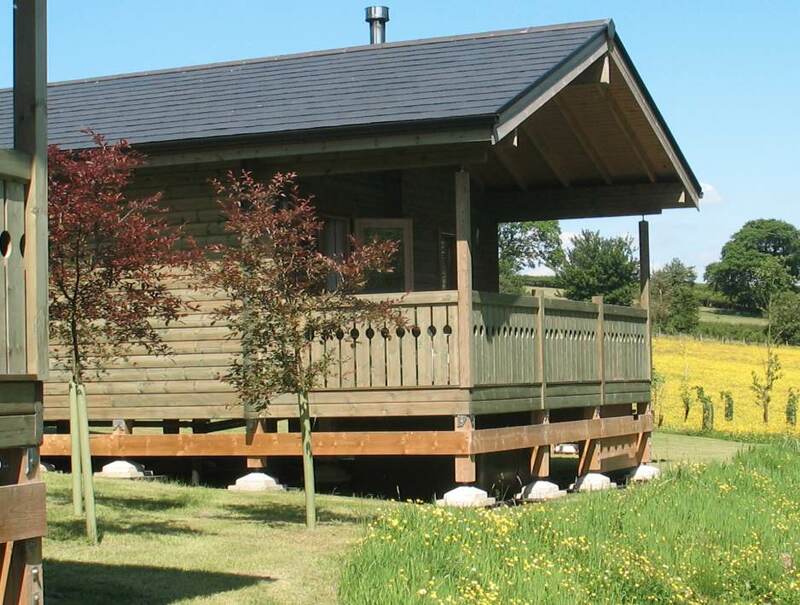 As well as the website, if you're interested please call Sally on 01439 748513, email her at sallycoulthard@hotmail.co.uk or write to her at Huts & Hideaways, Stonegrave Lodge Farm, Stonegrave, North Yorkshire YO62 4LL. 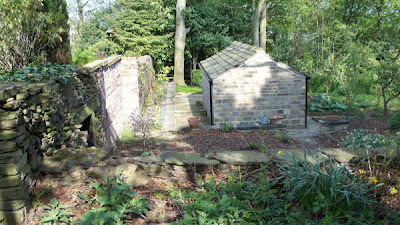 We usually only feature the fronts and sides of garden offices, and sometimes the roofs. We very rarely focus on the backs of them. So it's about time we put that right. 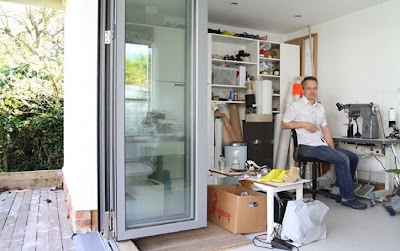 Here's the back of author Joanne Harris's garden office - for more details about her shedworking life, see this exclusive interview and for her new book click here. The media are starting early with their coverage of Shed of the Year 2011 with the Metro kicking things off by showcasing some contenders. 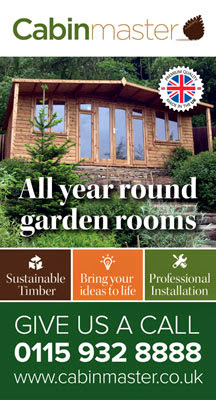 If you haven't entered your garden office or shedlike atmosphere yet, you must do so before May 16. 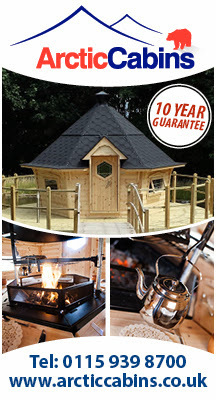 Go to readersheds.co.uk to sign up for a chance to claim top prize and stacks of Cuprinol wood products. There are also articles about it in the Daily Mail, The Sun, and Daily Telegraph. You and your partner could be the stars of a new Saturday night comedy panel show. The folk at Endemol Television are looking for couples who are very much in love, but have an ongoing lighthearted dispute or silly argument that they would like a comedy panel to solve for them, once and for all - a pilot of this show earlier in the year included Jack Dee, Jo Brand and Sarah Millican. I spoke to the nice lady at Endemol and she is particularly keen to find somebody who who spends all their time in the shed, or devotes all their spare time to doing it up, much to their partner's despair. Couples who are chosen for the show will be paid for their time too so if you are in a relationship and would like to apply, email couples@endemoluk.com for an application or call their hotline on 0333 577 7772. 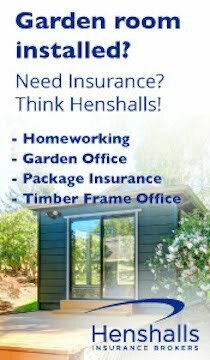 What's the one thing that would make your shedworking life complete? Well, a swimming pool probably wouldn't be a bad start. 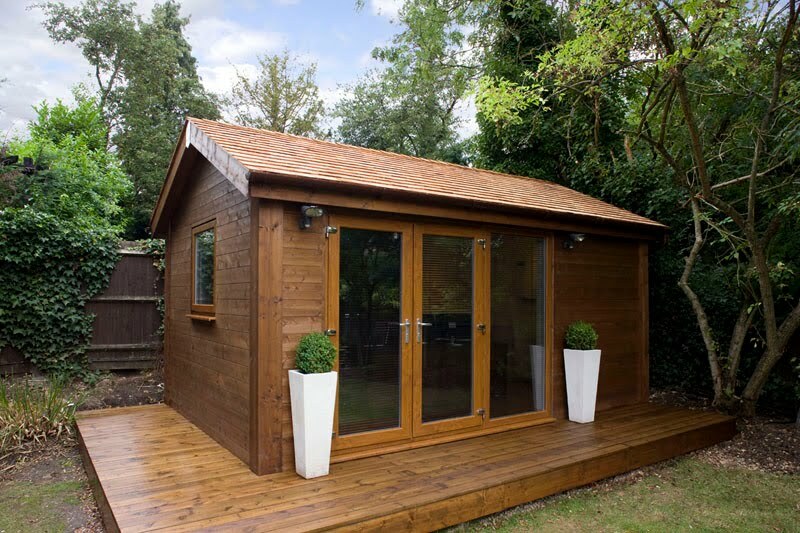 Here's an example from DK Bespoke Garden Studios which was a five month build that included clearing the grounds and then building the garden office and swimming pool. The site has several projects featured with plenty of photographs and excellent descriptions of how each one was carried out. 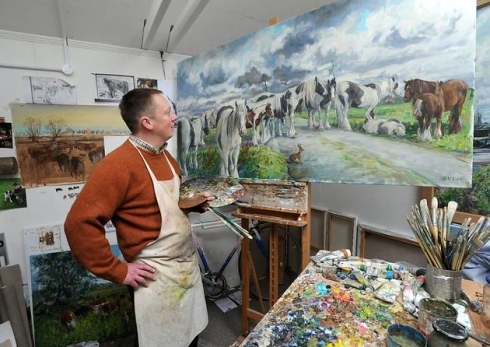 "I suppose you could say that my work is a reflection of the traditional world which is still around us. 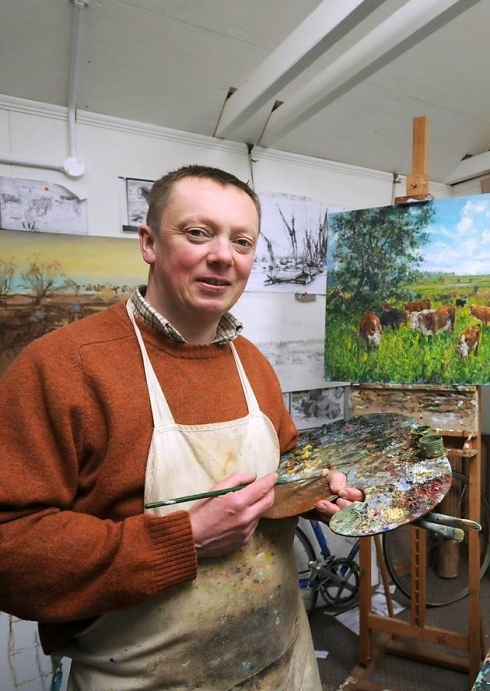 When I was young I loved drawing motorbikes but somewhere along the way that changed into drawing horses and cows. Also I love Suffolks big brooding skies. I am at my happiest when I stumble across a scene which combines all these different elements." A rather nice video showing how Hoxton-based UV Architects build their garden offices. I'm feeling jealous. Dawn Fry has a chocolate-making factory in her garden. 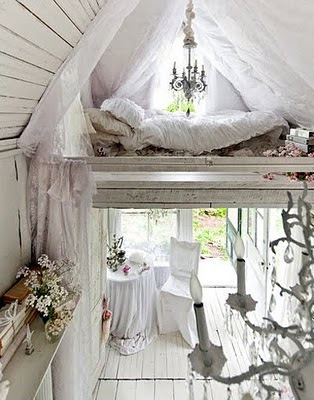 Hidden in her shed. Actually, it's more of a summer house, with pretty gingham curtains and proper lead flashings over the windows made by her blacksmith husband Joe. But it's a chocolate factory, all right. Jars full of cocoa solids line the dresser, while an electronic warmer keeps the mixture at exactly the right temperature for working. 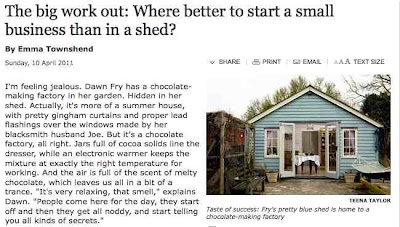 The article is essentially looking at starting a business from your garden office, but interior designer and garden designer Francoise Murat made a good point on Twitter earlier today commenting on the feature, that "the shed is the new home". What do you think?